I figured that it was about time to tackle the 'draw bridge' across to Salida. 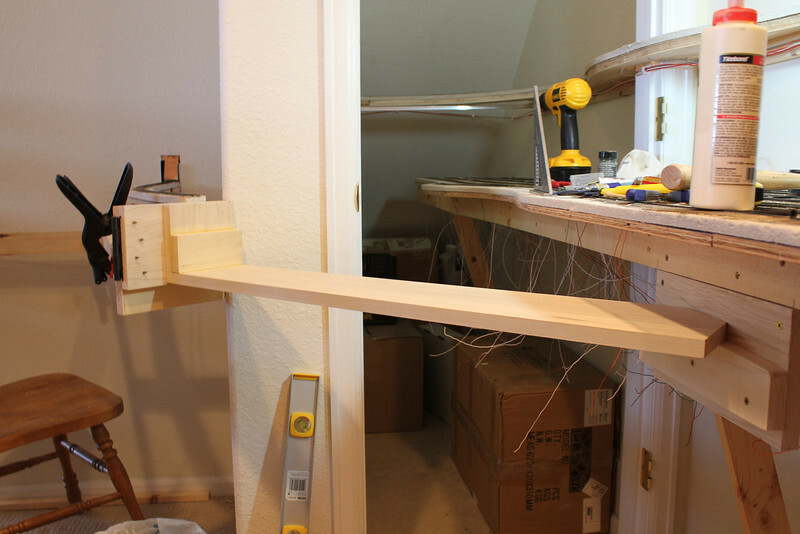 This bridge was made with high grade poplar wood. On the right you can see how I am blocking the bridge into place..